Berks County Eats crosses the county line to bring you some of the best dining both near and far. This edition takes us an hour west of Reading to Hershey, PA.
For those of us living in Central Pennsylvania, Hershey is a favorite destination in summer. A day in Hershey usually includes an afternoon of roller coasters and water rides. A stop at Chocolate World to ride The Ride and get your free candy sample is a given. But if your trip to Hershey never takes you outside the entertainment complex, you are missing out. Earlier this month, Julie and I decided to take a day off together and make a road trip to Hershey. But instead of doing “the usual,” we took the opportunity to explore parts of town we had never been before. We started our day with a morning stroll through Hershey Gardens. 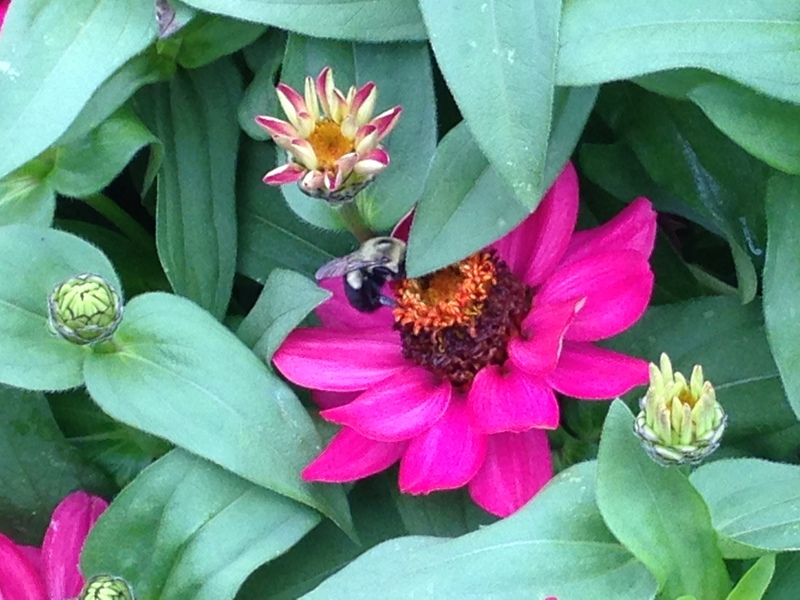 The gardens sit high upon the hill overlooking town, tucked between the Hotel Hershey and the Milton Hershey School’s Catherine Hall. The one-mile trail takes you through the rose garden, the arboretum, the Japanese garden and the butterfly house on a floral world tour. Our afternoon took us downtown to the Hershey Story Museum. The family-friendly attraction chronicles the life and work of Milton Hershey and his chocolate company through interactive exhibits, like hand-wrapping Hershey kisses (I failed miserably) and the Chocolate Lab, where visitors can create their own sweet treats (for an extra fee). In between stops, I wanted a true taste of Hershey. Passing over the Chocolate World food court and seeking something a little heavier than the museum cafe, we pulled in to the Chocolate Ave Grill. The Chocolate Ave Grill opened in 2007 in what was once a fast food restaurant, though you wouldn’t know it if not for the distinctive layout of the dining area that wraps around what was once the counter. 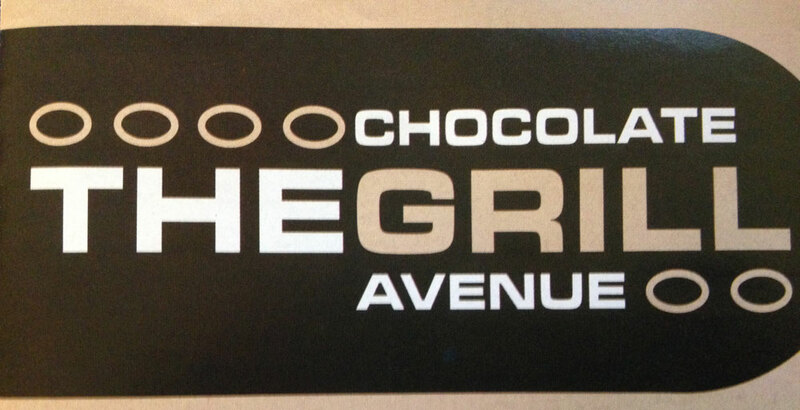 It would be easy for a Hershey restaurant to go overboard with a chocolate theme, but the Grill is more subtle. The wall lamps at each table, vaguely shaped like Hershey Kisses, are the only real reminders of where you are (except for the chocolate-colored restrooms). 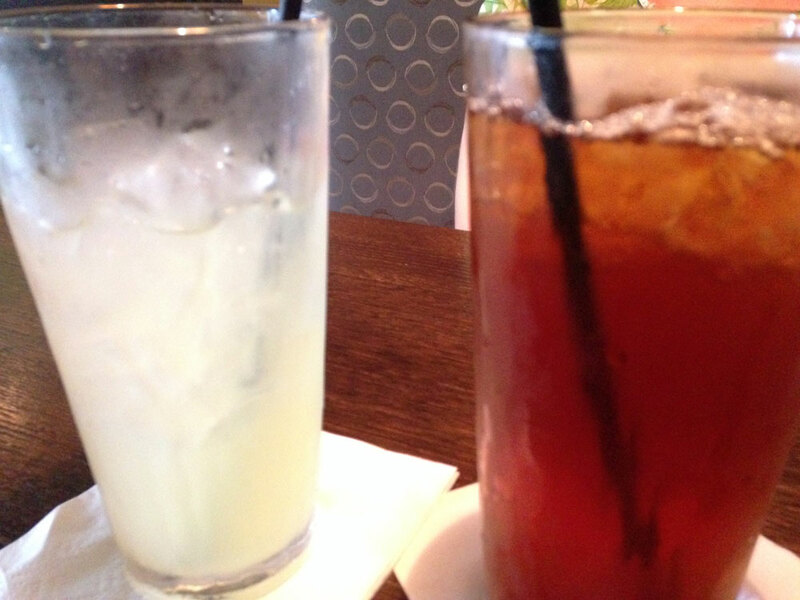 Needing a little sugar rush to get through the afternoon, we both decided to treat ourselves to a sugary drink—peach lemonade for Julie and mango iced tea for me. The full menu is quite impressive. Dinner options include blackberry BBQ chicken, beef brisket flatbread and lobster risotto. At lunch, the menu is more narrowly focused, but still offers plenty of options including eight signature sandwiches, 10 different wraps and a collection of Philly Hoagies. There is also a section of burgers, chicken and portabellas where you get your choice of a half-pound hamburger, portabella mushroom patty or chicken breast in one of six combinations. Some are familiar, like the smokehouse with BBQ sauce, bacon and cheddar, but others were a little more creative. One of those was the Tuscan: fresh mozzarella, Roma tomatoes and basil pesto on garlic herb focaccia bread. As much as I would have liked to have tried it on a burger, the chicken breast sounded a little more manageable on this day. I made the right choice. The chicken breast—not a chicken patty but a whole breast—was the perfect base for this delicious sandwich. It soaked up the flavors of the pesto so that every bite was seasoned beautifully. And the Roma tomatoes were juice and fresh, but what really made the dish was the mozzarella. Even though it said fresh mozzarella on the menu, part of me was still expecting to see pizza cheese melted over my sandwich. Instead, it was as advertised: fresh cut chunks of mozzarella layered on top of the sandwich to provide a creamy texture and a little bit of sweetness to a wonderful sandwich. The only thing I was wrong about was my thought it would be more manageable. It wasn’t. The chicken breast was just as big and equally filling, leaving me with half the sandwich to take home. Julie did the same thing with her sandwich as well, cutting it in half and saving it for later. 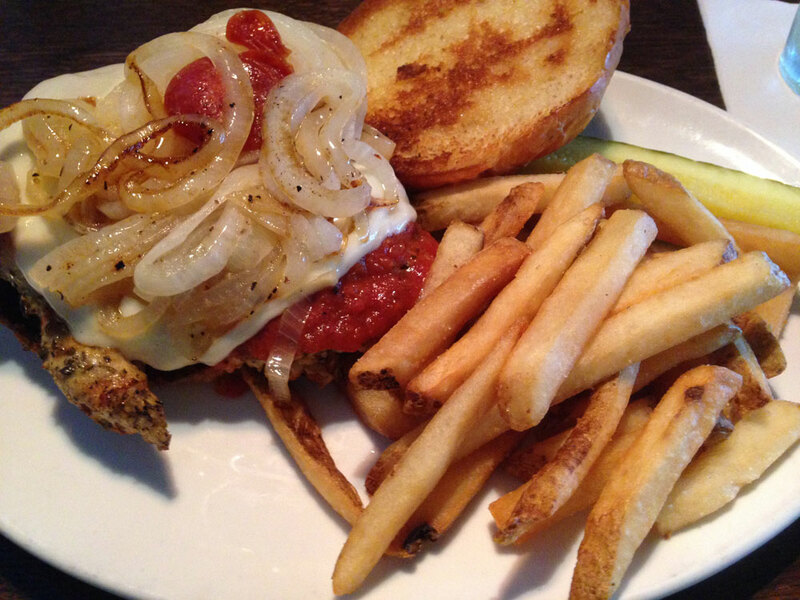 Also opting for chicken, Julie went with the Italiano: grilled onions, tomato sauce, provolone and pepperoni on a white bread roll. Her toppings were exploding from the sides of the sandwich. Tomato sauce dripped over the edge, grilled onions and pepperonis fell onto the plate. It ate like chicken Parmesan on a sandwich, with excellently seasoned chicken serving as the base. And the addition of pepperoni was perfect because pepperoni makes everything better. 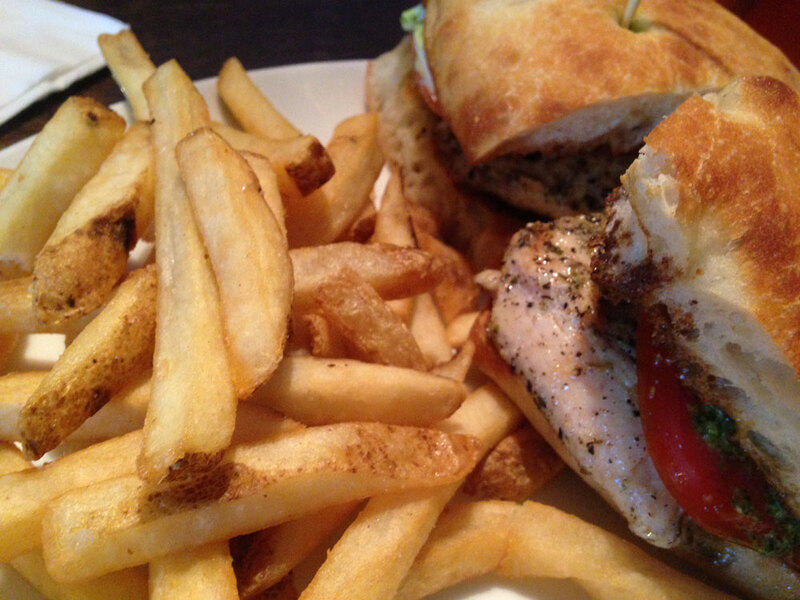 Both of our sandwiches were served with a side of fries. They were very good, done Boardwalk style with skins left on for a little extra flavor. If that’s not to your liking, you can substitute chips, pasta salad, coleslaw, fruit or a side salad instead. In addition to being a little healthier than hamburgers, chicken sandwiches are also a little cheaper (about $1 less than the burger or portabella). Together, they were just a little more than $20 plus another $5 for our drinks. Not a bad price considering we essentially got four sandwiches. Hershey is a road trip worth making, no matter what you have planned for your day. But next time you make the drive west to the Sweetest Place on Earth, remember that there is much more to Hershey than the park. And there is so much more to eat than chocolate.